One of the main challenges of aging societies is maintaining quality of life despite inevitable changes that occur in the lives of elderly people. This study examined the contribution of coping resources and coping patterns to successful aging among elderly persons following a decline in health and function. Data were collected from 262 elderly Israelis during two home interviews carried out at an interval of 12 months. 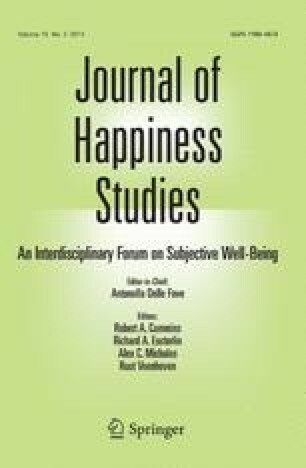 Successful aging was assessed using a number of measures of subjective well-being. Predictive variables included change in health/functioning, coping resources, and coping patterns (proactive and reactive). Hierarchical regression analyses showed that the coping resources self-efficacy and social support and the proactive coping pattern of concrete planning positively predicted successful aging, while the proactive coping pattern deciding on preferences had a negative influence. These results indicate that elderly people have the ability to shape their quality of life in the presence of decline in health and functioning by using appropriate coping resources and coping patterns. Controlled interventions are recommended to help older people acquire and maintain effective resources and coping skills, thus further promoting their successful aging process. This study was partially supported by the Myers-JDC-Brookdale Institute, Jerusalem, Israel. Greenglass, E. R., Schwarzer, R., & Taubert, S. (1999). The Proactive Coping Inventory (PCI): A multi-dimensional research instrument. Paper presented at the 20th International Conference of the Stress & Anxiety Research Society (STAR), Cracow, Poland, 12–14 July. Available at www.psych.yorku.ca/greenglass/. Accessed 31 Oct 2012.